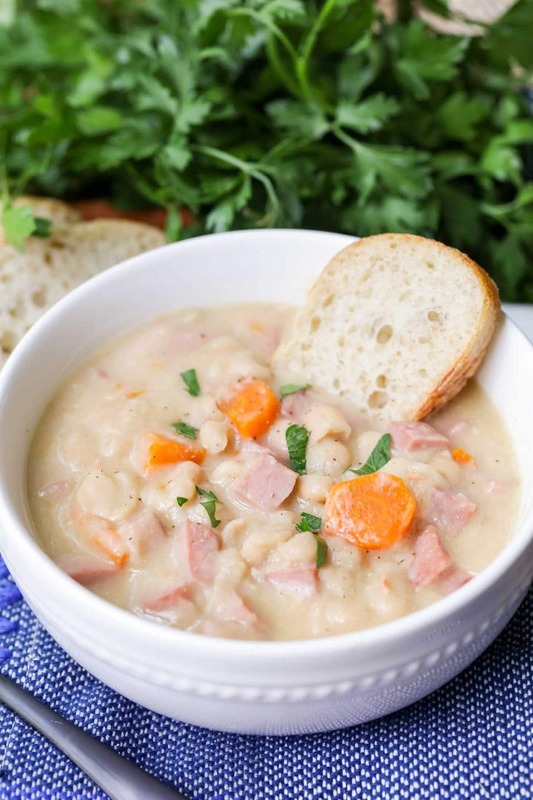 If you like ham and beans, then you’re going to LOVE this soup. 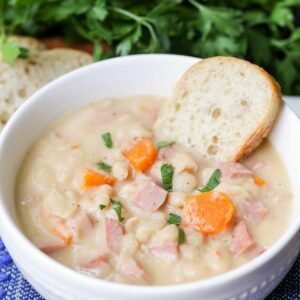 The flavor of this ham and bean soup is super creamy and tasty and is the epitome of comfort food at it’s finest. Have I mentioned how much I love soup? No surprise here with this recipe! The smell of this bean and ham soup simmering on the stove is indescribable. 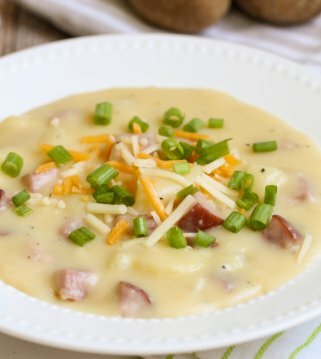 This is a great soup to make if you have leftover ham from dinner the night before. Chop it up and throw it in with some beans, carrots, and herbs for the tastiest soup. I haven’t met a person who doesn’t enjoy this bean and ham soup. What’s not to love about it’s creamy texture and delicious flavor? 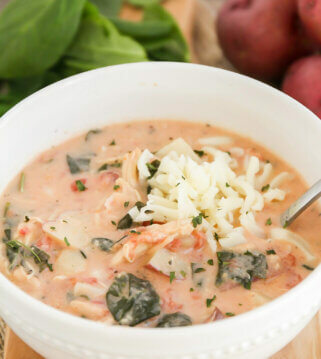 Another thing to love about this soup recipe – it’s SO easy to make. With this recipe, you can have dinner ready in under an hour! I’m all about the easy dinner recipes over here, especially when it’s 5:00 and all my kids are starving (anyone else get hangry?!) and we just need something hearty and filling. Pair this soup with a loaf of crusty bread and you’ve got the perfect meal. Is your mouth watering yet? Which beans are best for ham and bean soup? We prefer to use Great Northern Beans or Cannellini Beans. You can also use your favorite canned bean combinations. Heat a large pot on the stove over medium heat. Take the first 8 ingredients and combine them together in the pot. Cook everything together for 30 minutes. Grab your chopped ham and stir it in to the soup mixture. Cook for an additional 20 minutes. After it’s done cooking, season it with the white pepper to your liking. THAT’S IT GUYS. 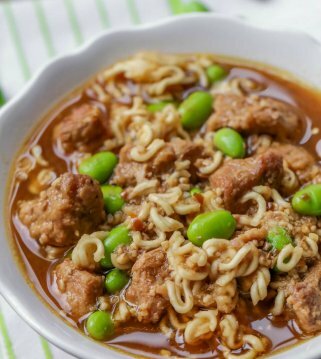 Can you believe how easy this recipe is? I can guarantee that my family is going to be making and eating this soup a lot this fall season. Add it to the dinner rotation because it’s hearty and perfect for soup season. Can you make ham and bean soup in the crock pot? Just throw all your ingredients in a slow cooker and cook ON HIGH for 4 hours or on LOW for 6-8 hours. 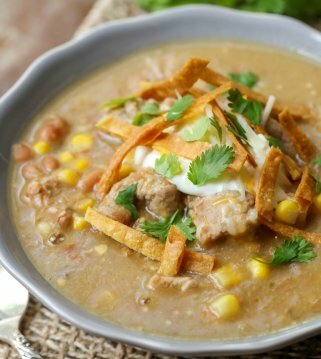 How to store ham and bean soup? Places in an airtight container, this soup can stay in the fridge for 3-5 days. Or, you can freeze it in a container or freezer bag for up to 1 month. Reheat by cooking it over the stove or in the microwave until heated through. There are so many delicious ingredients in this soup. I love the tasty chopped bites of ham and the flavor of the cooked northern beans. And don’t forget the soft but crunchy chopped carrots. They give the soup some extra color and crunch. If you love cheese with your soups, don’t be afraid 1/4 cup cheddar cheese to each bowl. It enhances all of the flavors and makes it even more addicting. 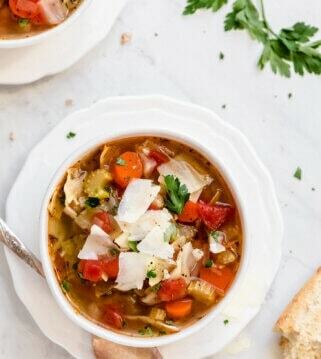 We hope you enjoy this soup as much as we do! It’s EASY, YUMMY, and all around FANTASTIC. 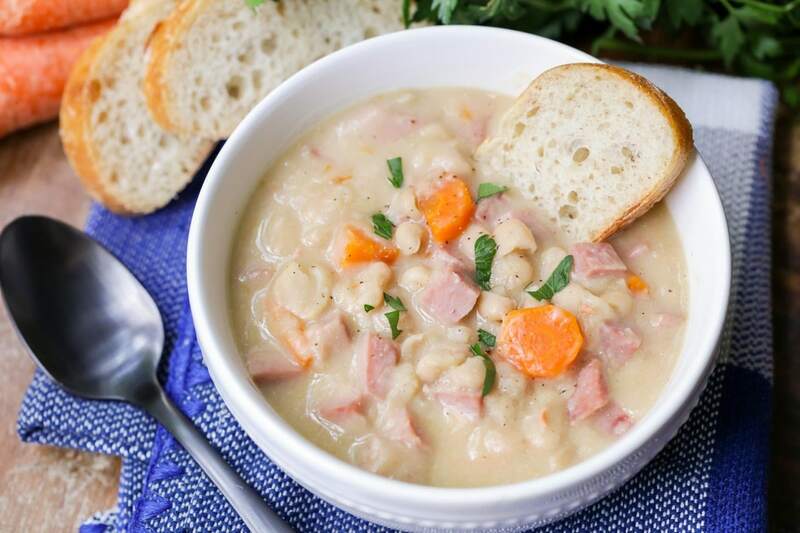 If you like ham and beans, then you're going to LOVE this soup. 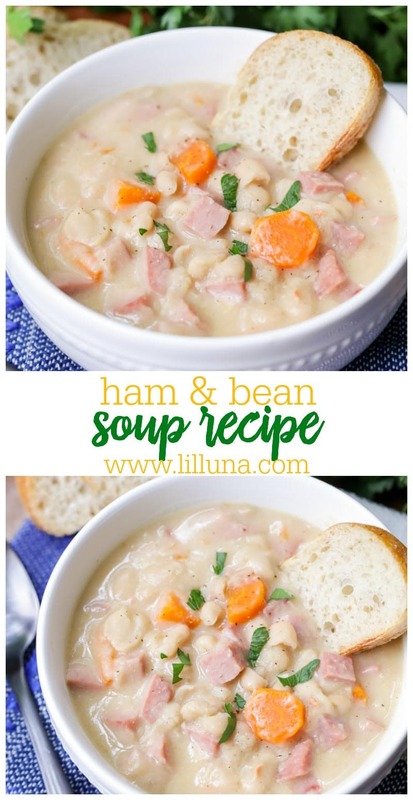 The flavor of this ham and bean soup is super creamy and tasty and is the epitome of comfort food at it's finest. Place beans, broth, water, salt, carrots, onion, garlic and mustard powder in a large pot. Cook on medium heat for 30 minutes. Stir in the chopped ham and simmer for 20 more minutes. Season with ground white pepper to taste. This soup is delicious! I am definitely adding it to my dinner rotation! Mmmm… now THIS is what I call comfort food. Love how creamy it is! 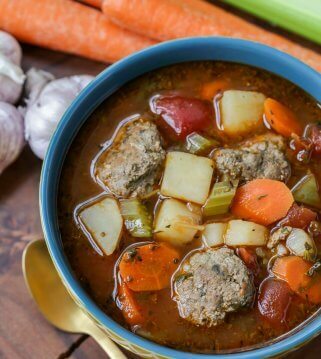 I grew up eating this soup, and it is so yummy on a chilly evening!